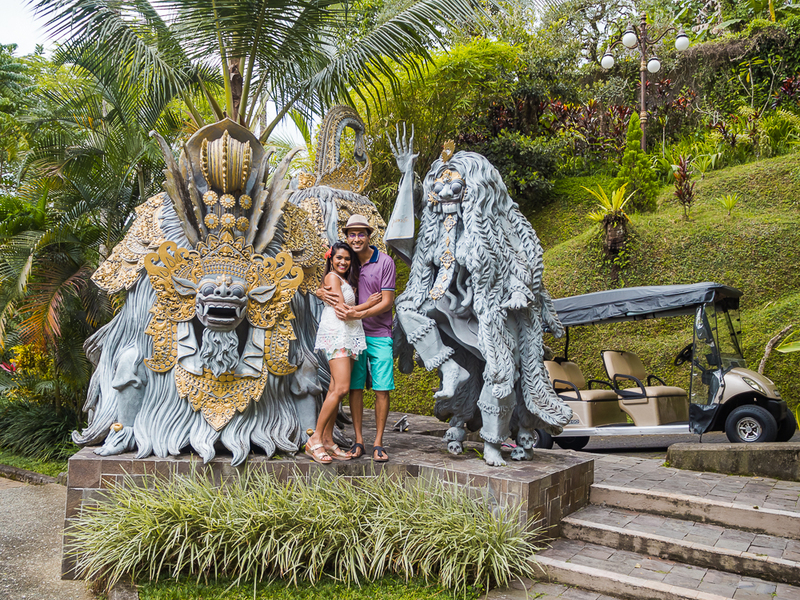 Thanks to Ayung Resort & Spa for graciously hosting us and sponsoring this post. 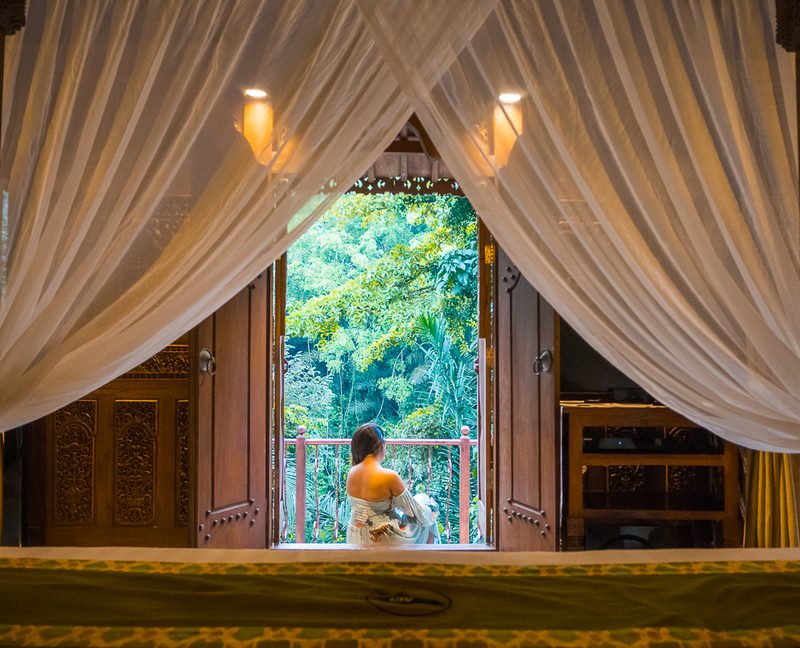 Our recent travel escapade led us to stay at Ayung Resort & Spa in Ubud, one of the Top 10 hotels in Bali, and we couldn’t be more awestruck and blown away by the entire experience at this luxury 5-Star Hotel!!! From the moment we stepped in, until the moment we left (and beyond), we were made to feel like royalty (and I am at all exaggerating, not one bit)! 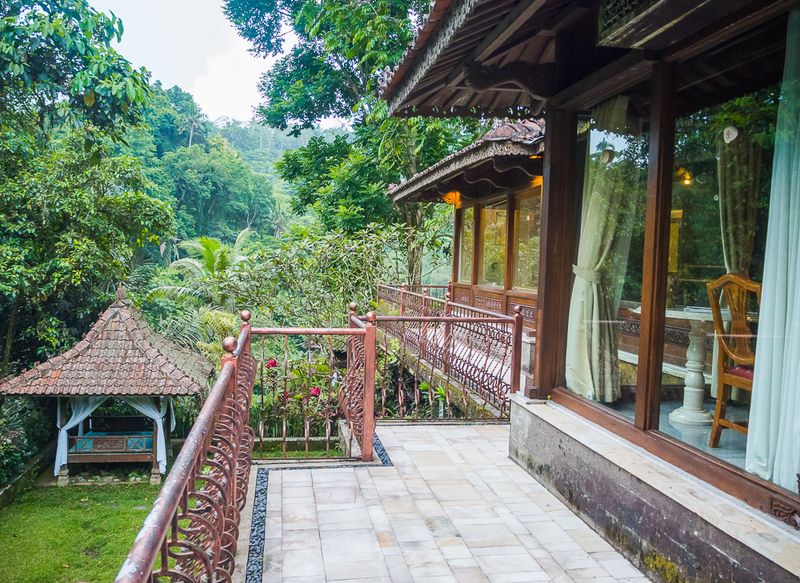 Away from the hustle and bustle of the city, Ayung Resort & Spa is set in the midst of a lush green tropical rainforest on the banks of the sacred Ayung River overlooking the mountains and the rice terraces. A real sense of tranquility and calm overcomes you as soon as you enter the property, and such is the power of its location and design. 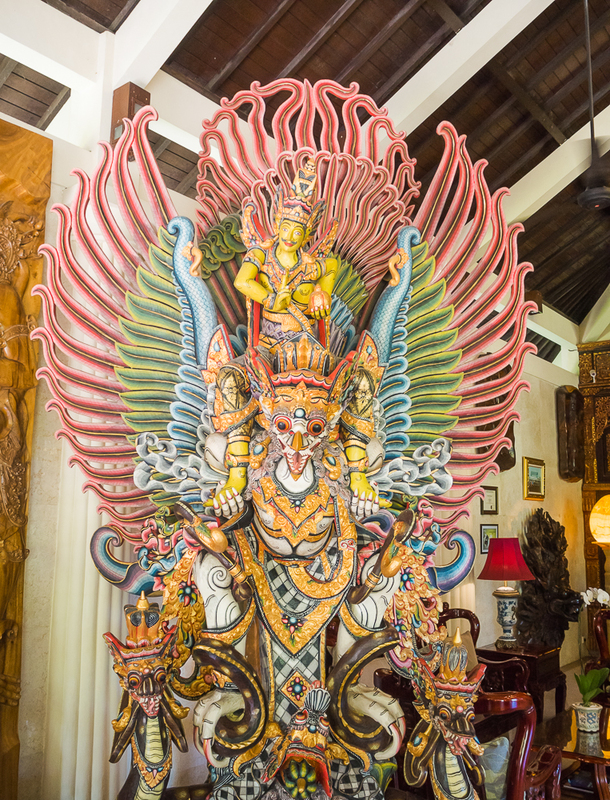 And very soon, a glimpse at the artifacts that adorn every corner of the resort lobby makes your jaw drop by their sheer magnificence and grandeur, and if we didn’t know any better, we would definitely think that we probably lost our way and walked into an art gallery. 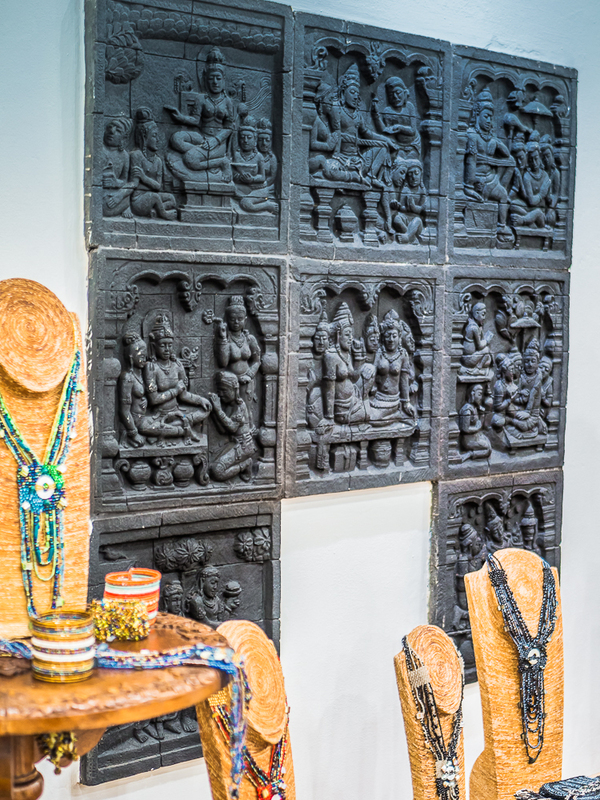 Such beautiful pieces of artwork, sculptures, wood carvings and exotic paintings not only embellish the lobby but also welcome you at every corner of the resort - an exhibit of the resort owner’s passion for art, culture and history and his resulting collections amassed over his lifetime. Truly fascinating! 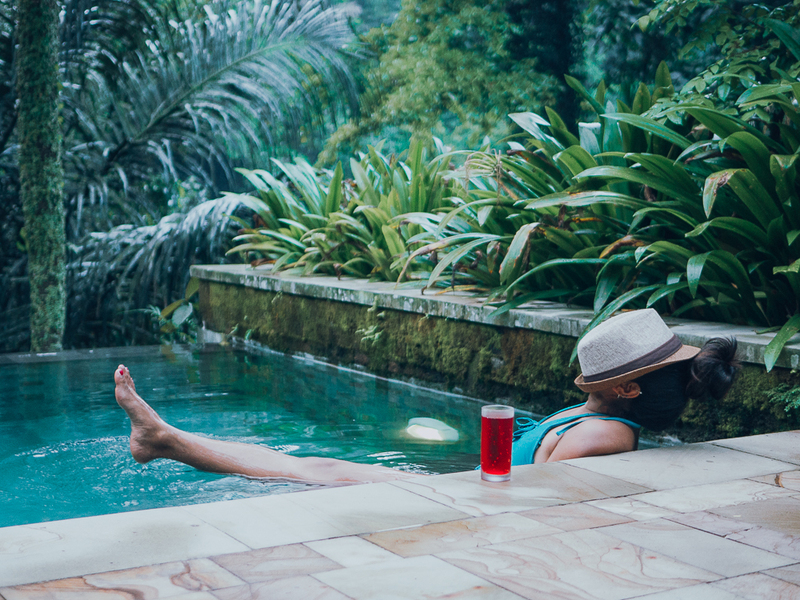 A very warm welcome by the resort staff and a refreshing welcome drink later, we were whisked away in a buggy to our antique Javanese Rumah Kudus hand carved wooden villa with a private infinity pool. One look (rather tour) in and around our villa left me absolutely speechless - was I dreaming? or was it real life? I could never tell! I literally went running (yeah, you should see me when I am uber-excited!) from one area to the other, to the melodious tunes of the chirping birds and the euphonic sounds of the rainforest and the Ayung river flowing right by our villa, making my way from the elaborate and spacious bedroom to the enticing private infinity-pool area to the huge marble bathroom to the wraparound balcony. 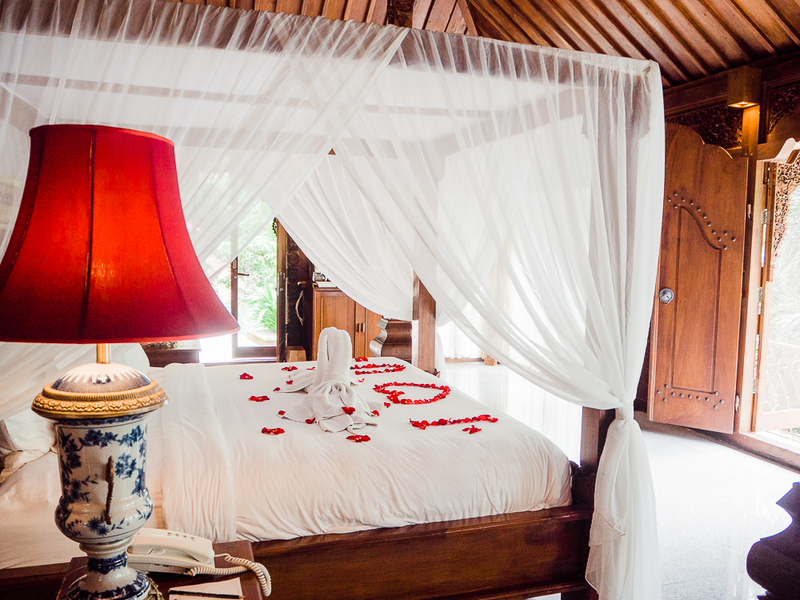 With every aspect of the villa overlooking the serene rainforest and the clear blue skies, our private villa had me floored within seconds. 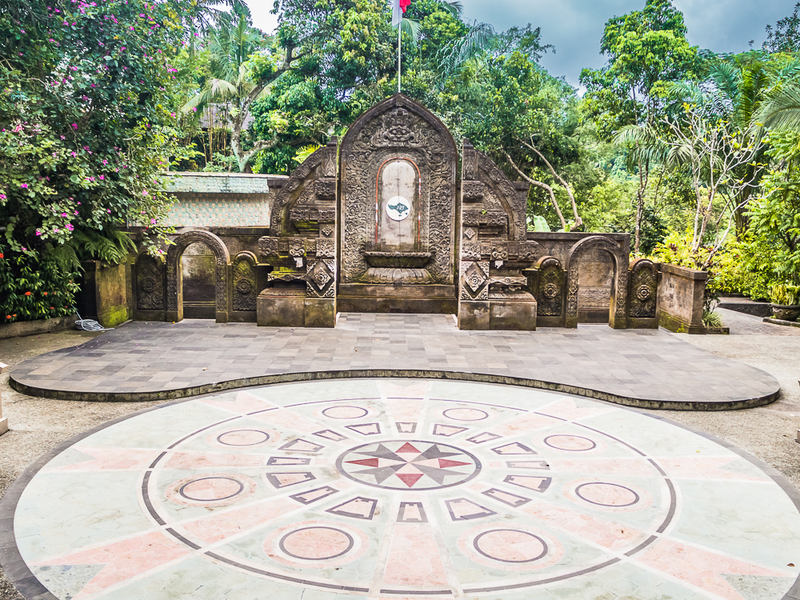 The location of each villa is such that you will feel like you are the only people in the entire resort (or in all of Ubud). 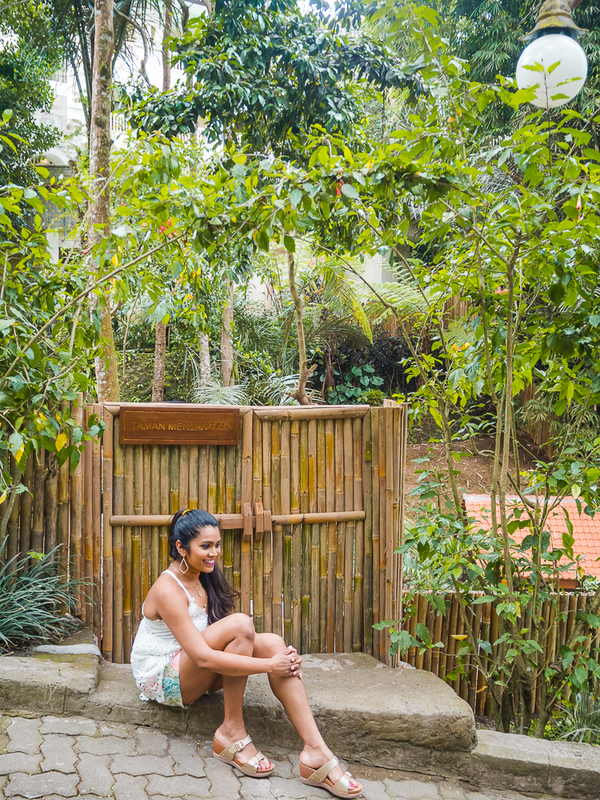 Sleeping to/waking up to the pleasing sounds of the jungle and the flowing river was purely magical! 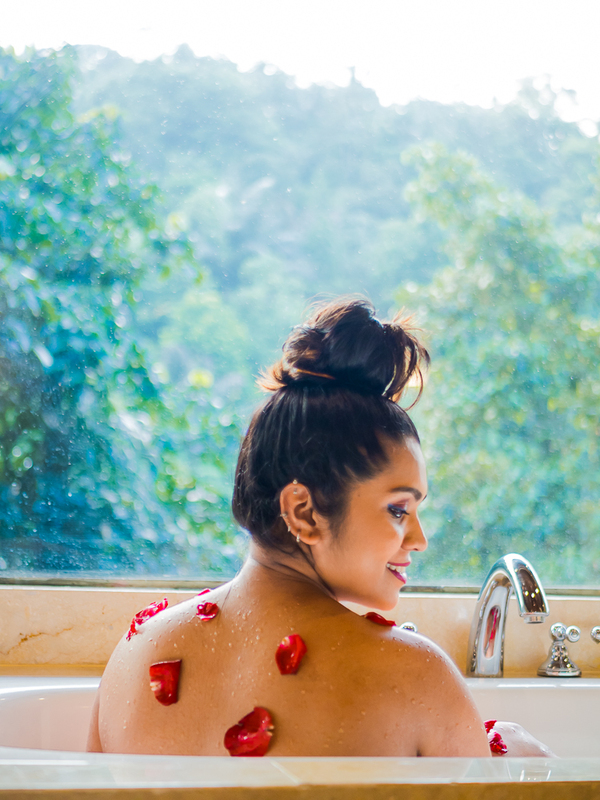 The icing on the cake was literally, the anniversary cake, flowers on the bed and in the bathtub and the yummilicious macaroons that were sent to our villa every night. 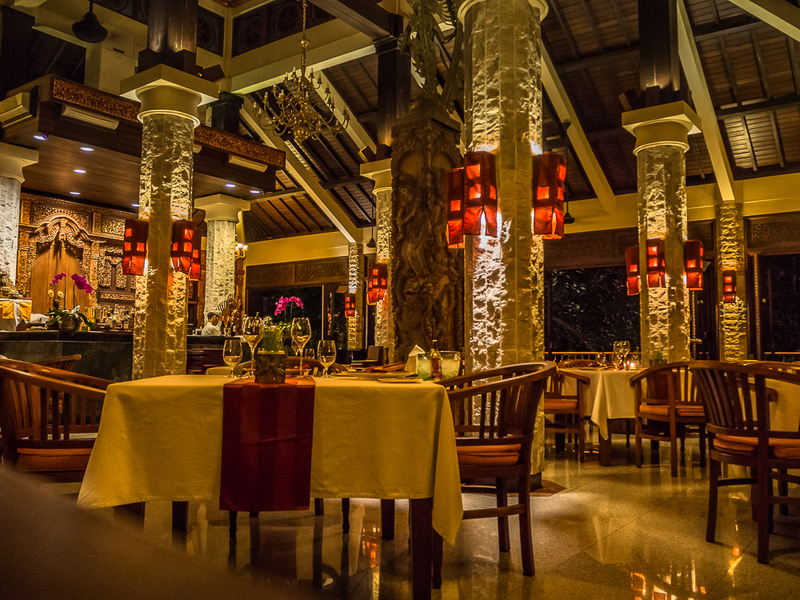 The dining experience at Ayung Resort & Spa is top-notch, to say the least... The 3 different dining areas - The Wijaya Kusuma Lounge, The Wijaya Kusuma Restaurant (which BTW, shares my name), and the Altitude Restaurant, all located one above the other, each with a spectacular backdrop of the mountains, lush green forest, the Ayung valley, the rice terraces and the Ayung river makes dining here a one-of-a-kind experience. 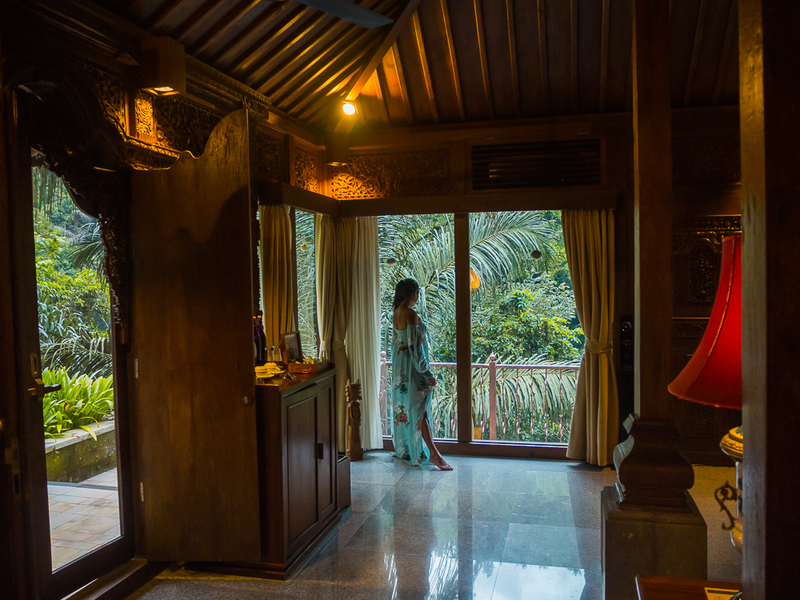 And such panoramic views combined with the delectable Balinese and international delicacies made for an extraordinarily-romantic dining experience at all times of the day and night. 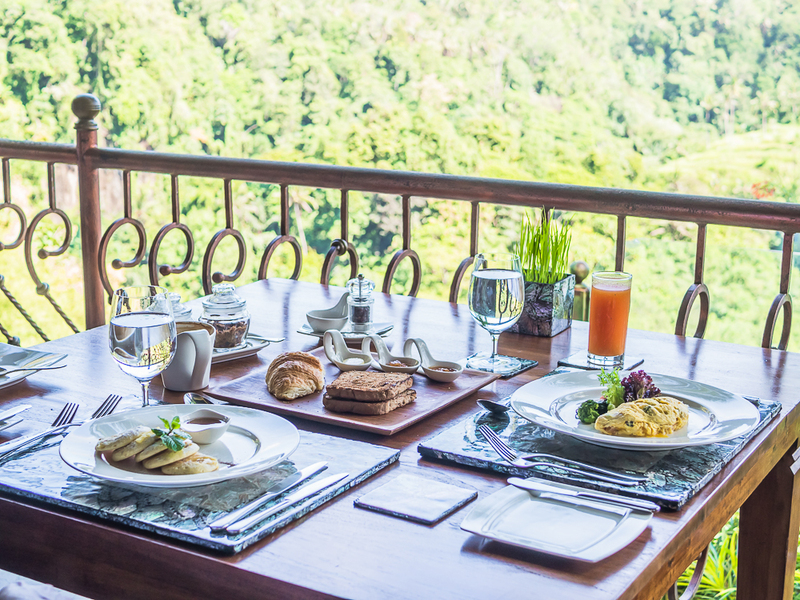 The unlimited a-la-carte gourmet breakfast was exquisite and a perfect way to start the day. 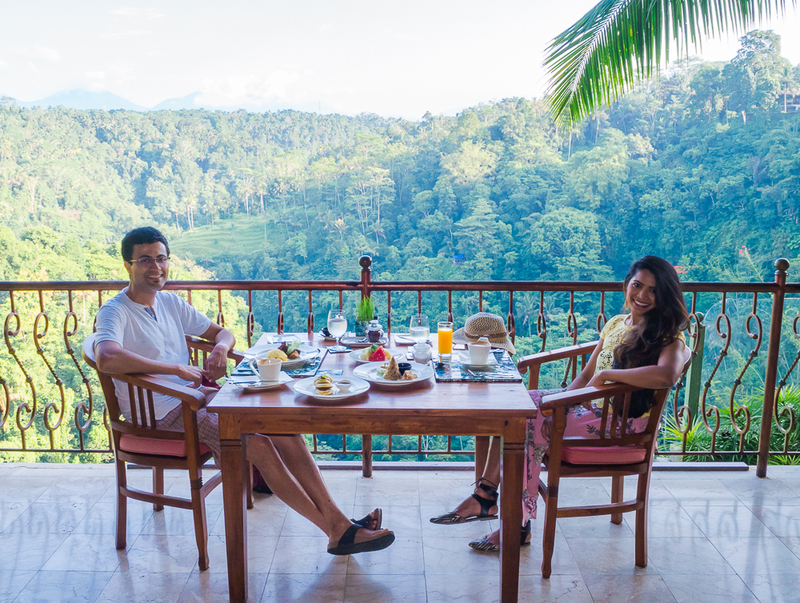 I have to admit that nowhere else have we spent as much time as we spent at the Ayung Resort & Spa restaurants rejoicing any single meal (2+ hours at breakfast, especially while traveling, now that’s a first and that’s saying a lot). 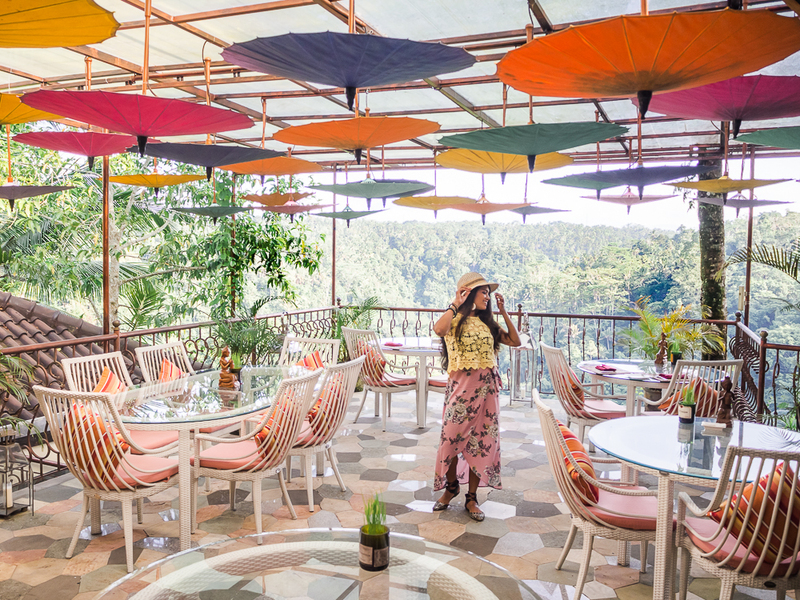 The complimentary afternoon high-tea (coffee/tea/beverages along with a selection of fine dining Balinese treats) served at the lounge area were not only delicious but also gave one a much-needed mid-day boost, both in terms of energy and mood. And the dinner options along with an extensive selection of wines left our vegetarian palates delighted and speechless. 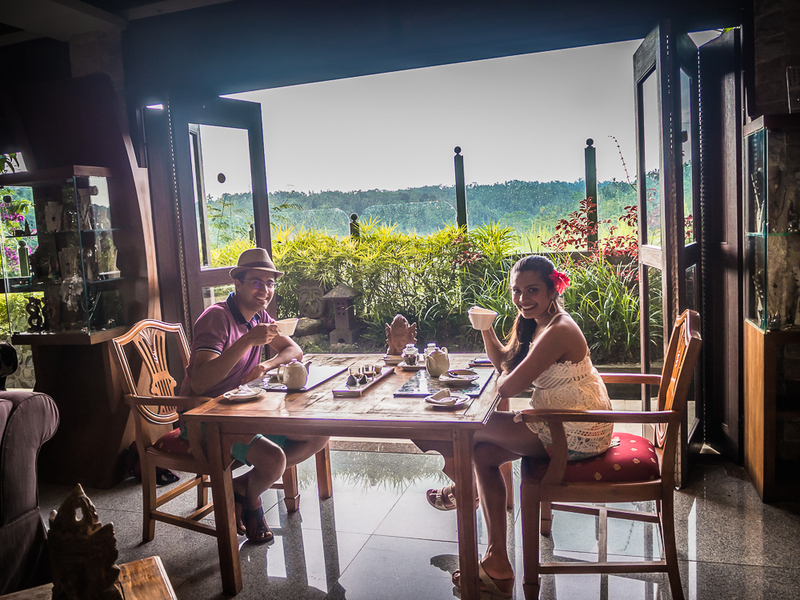 Dining here was an absolute treat to all the five senses! 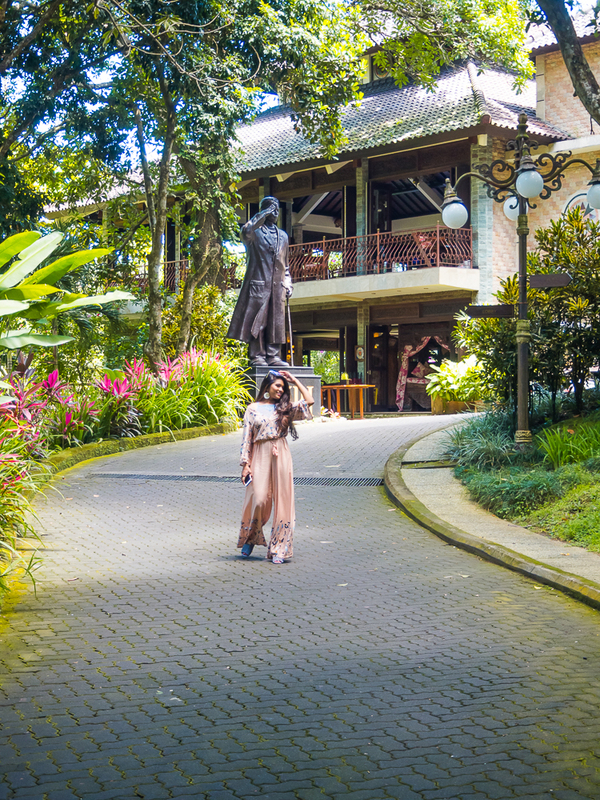 P.S: I would have never thought that a restaurant in Bali would make Italian dishes to perfection, goes to show just how well versed the chef/staff and the kitchen at Ayung Resort & Spa are. 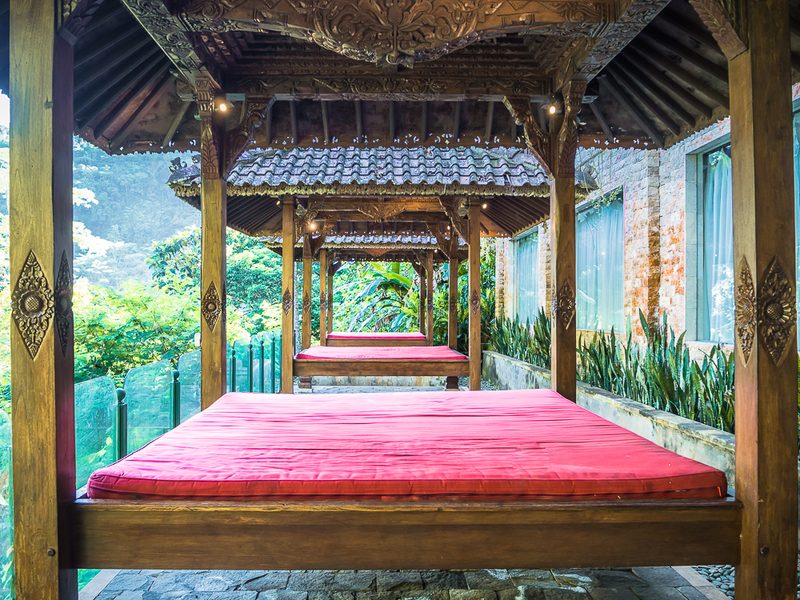 As if the morning breakfast wasn’t enough to please our senses, an exotic and relaxing spa session in the mystical set-up, deep in the Ayung valley is exactly what we needed after an early morning hike to Mt.Batur. 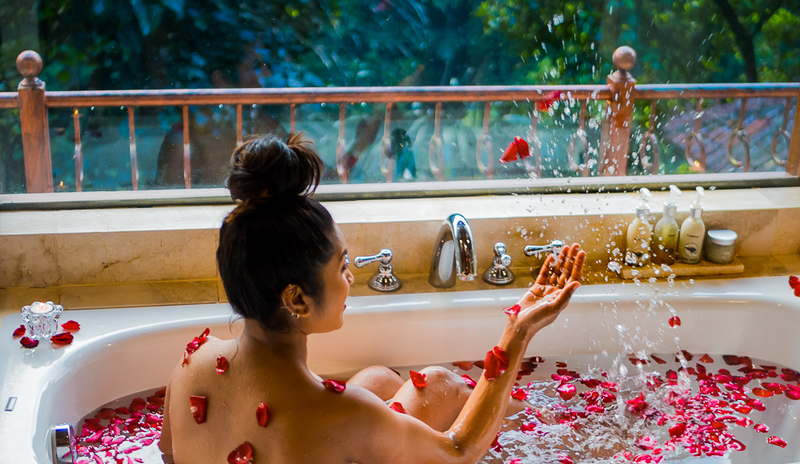 The calming sounds of the rainforest and the river flowing right next to us, and a refreshing drink as we walked in to the spa, followed by a foot massage ritual, followed by a full body massage with the most sensuous aromatic oils made us completely forget about the real world for the rest of the day :) We truly were in a state of trance - a treat for the mind, body, and soul! 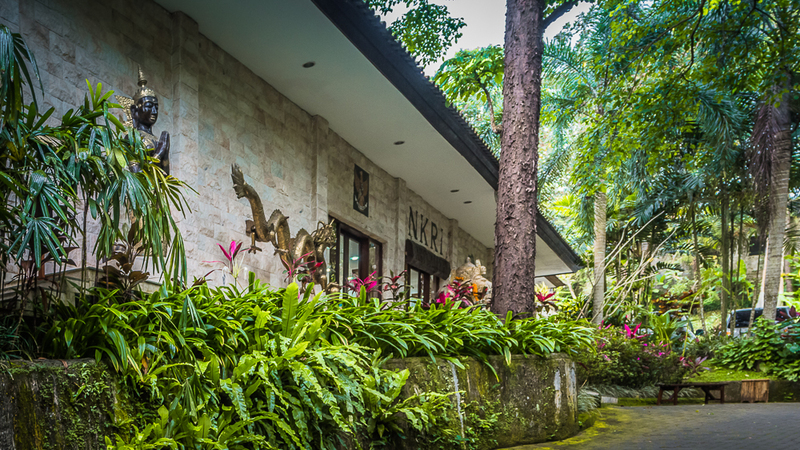 Best of all, imagine our surprise when we discovered 3 hidden gems, unique only to Ayung Resort & Spa - THE NKRI ART GALLERY, THE DEER PARK, AND THE BOROBUDUR CARVINGS. 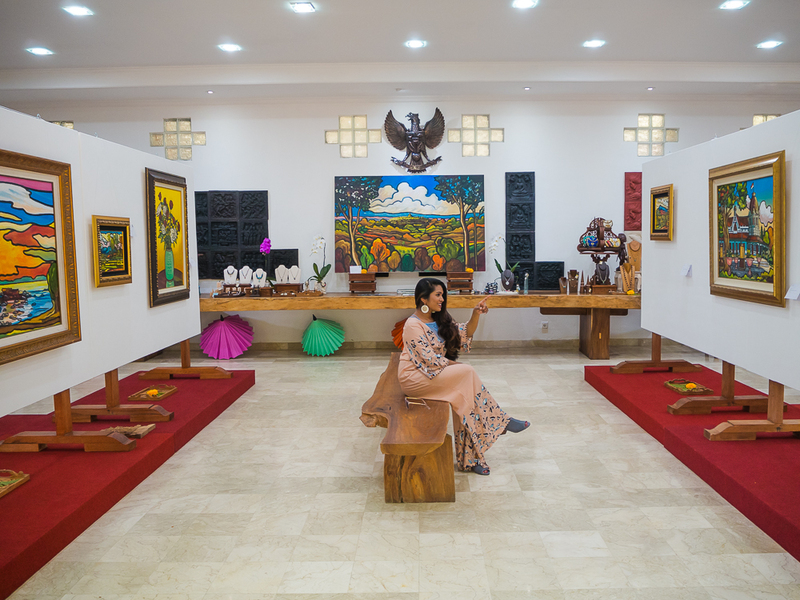 You could easily spend a couple of hours at Ayung Resort & Spa’s latest and greatest addition, the NKRI art gallery, gazing and admiring the various display of art which depicts the rich Indonesian culture and history. 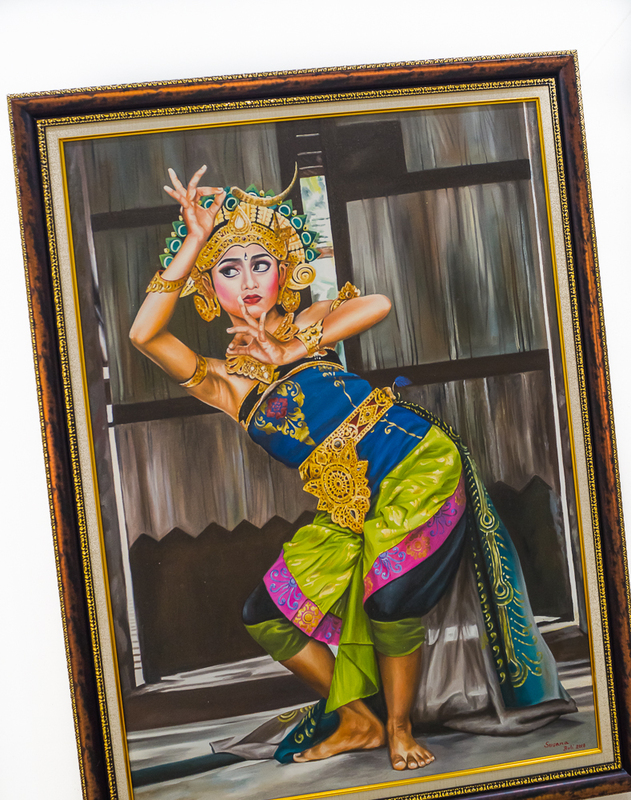 The gallery complements the dramatic and eclectic collection of paintings and statues, yet again, highlighting the resort owner’s as well as Balinese people’s love for all things artistic. 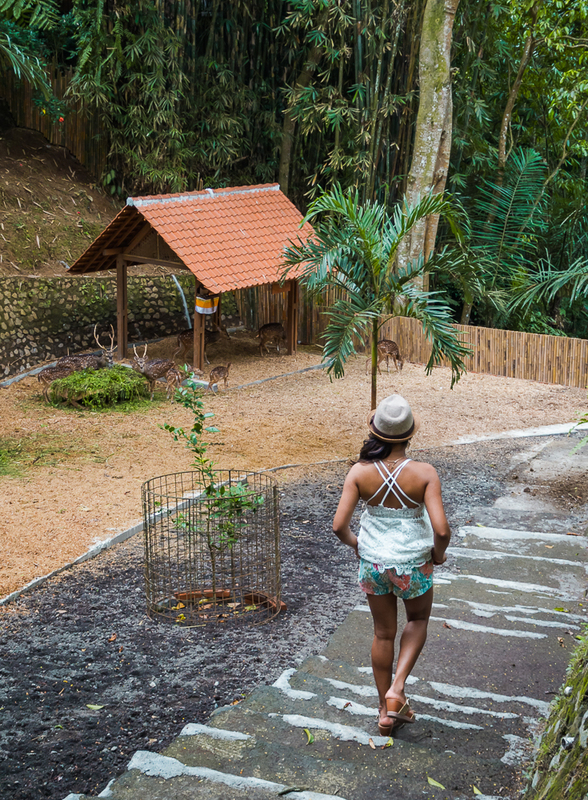 How would you like to be greeted by dancing deer as you walk past or buggy down the winding paths in the resort? If you ask me, I would say, ‘love it’, and I know, so would you! 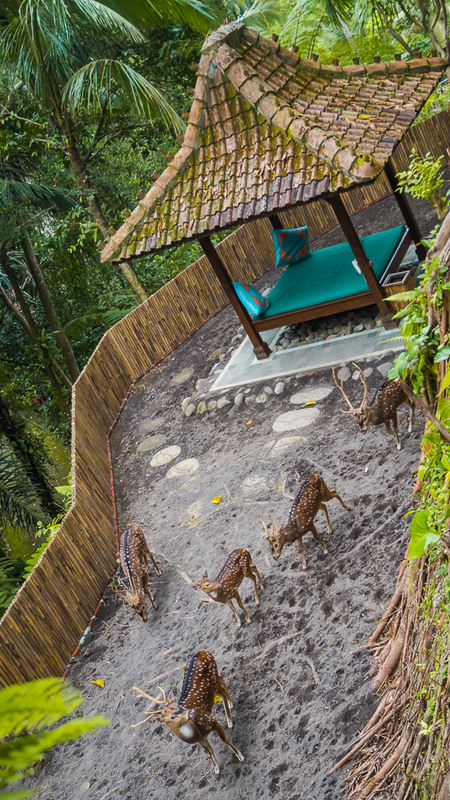 The deer park is another wonderful and unique aspect of the Ayung Resort & Spa where several deer are eagerly waiting to meet and greet the guests. 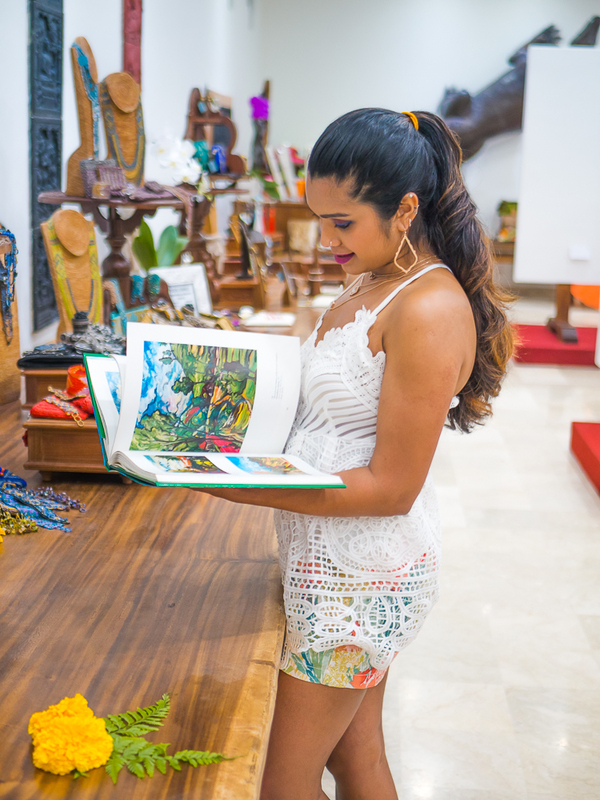 Their new home (which is a few feet away from their old home in the resort) is closer to the lobby and hence makes for a warm welcome as the guests make their way to the rooms. 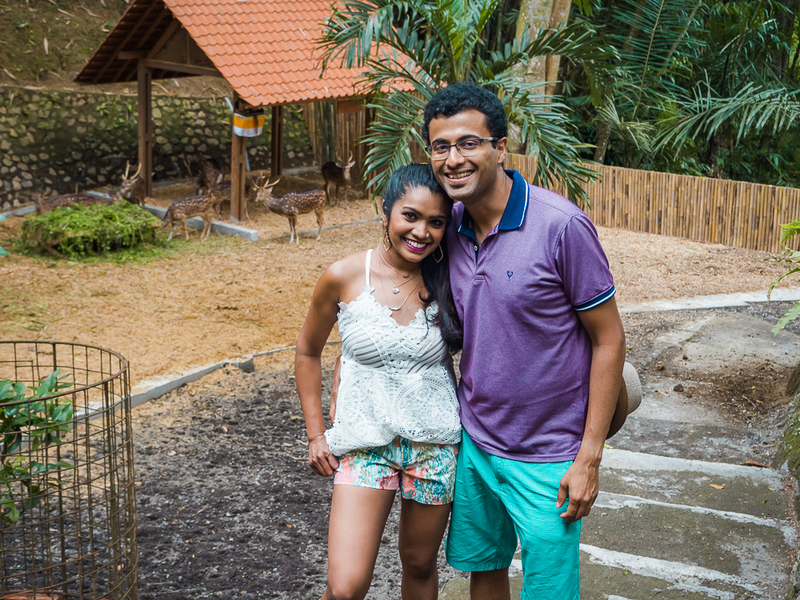 Another plus, you could also feed the deer at their habitat. 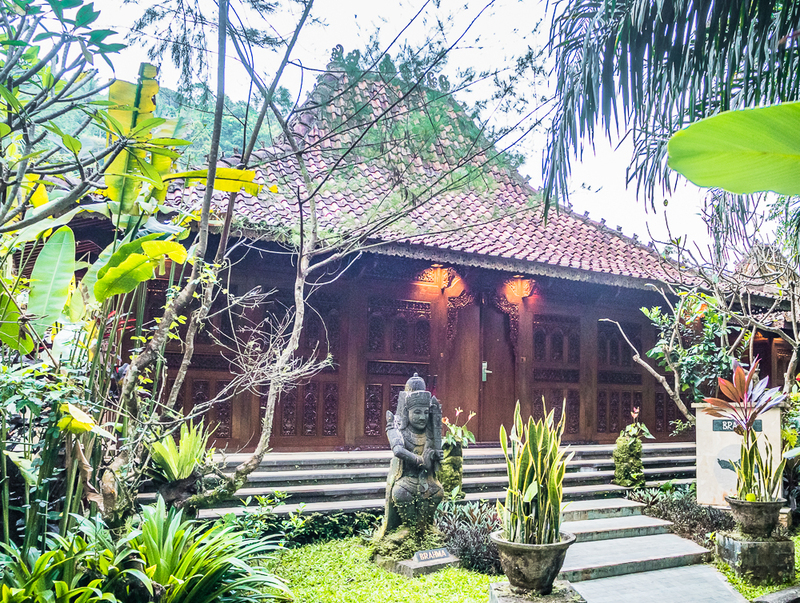 Deep inside the resort, there lies a tribute to the Buddhist monument and a World Heritage Center, an amazing replica of the most famous Borobudur Temple in Yogyakarta, Central Java. 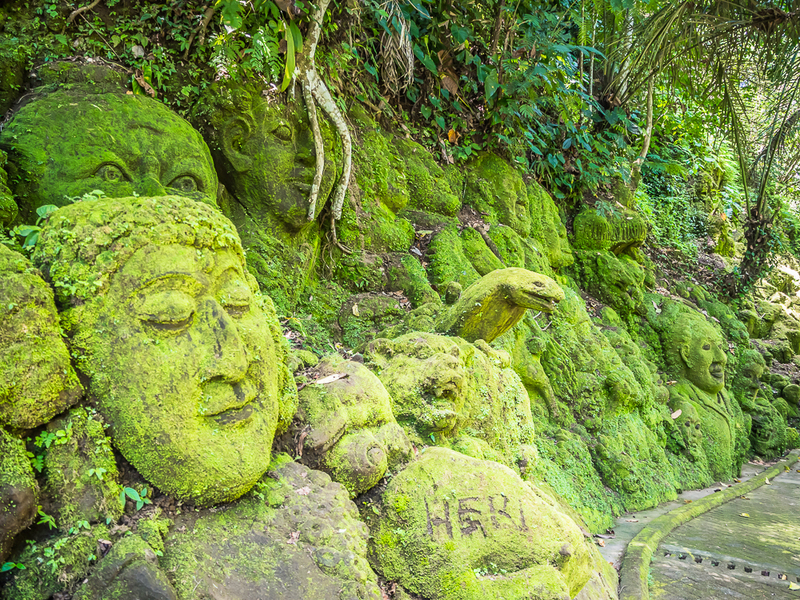 The moss-covered carvings are apparently a result of 250 local artisans and their work of five years (which began even before the resort was open to the public). 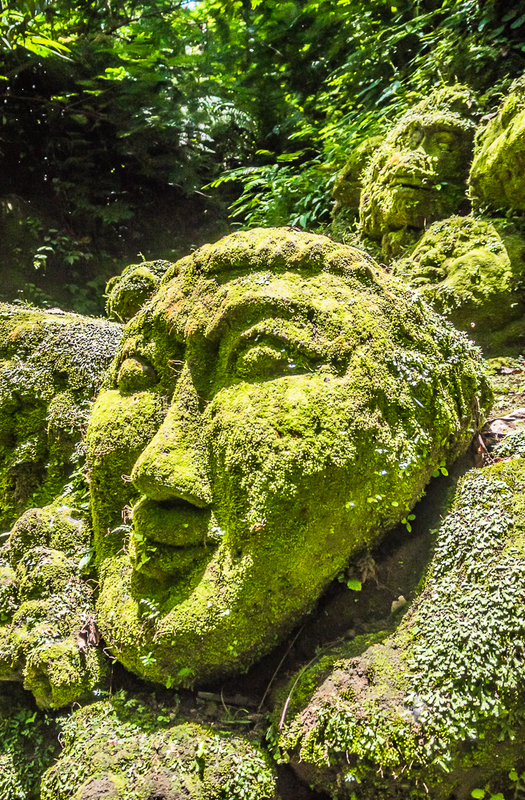 Each stone carving certainly tells a story and makes one wonder just how brilliantly talented these artists are, astonishing! 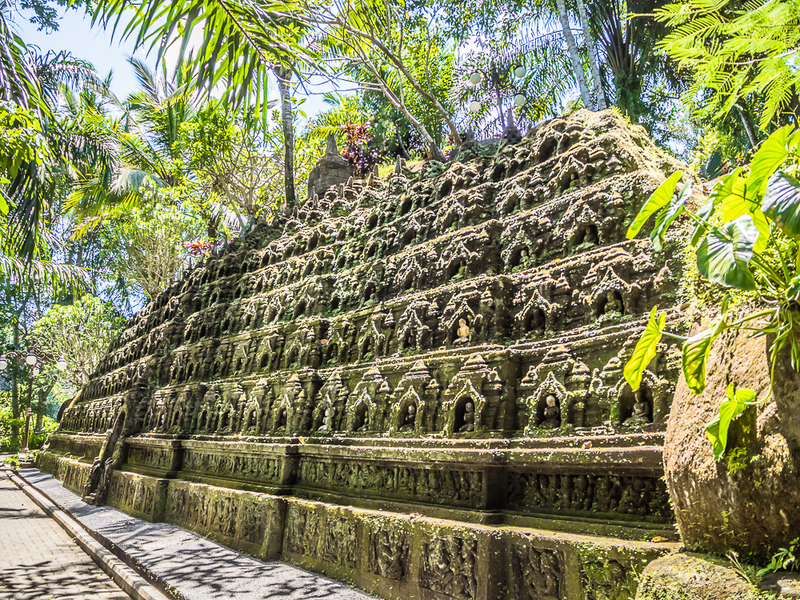 If you make your way past the Borobudur carvings, you come upon the most sacred and tranquil river flowing right next to the resort, deep into the tropical forest, the Ayung River. 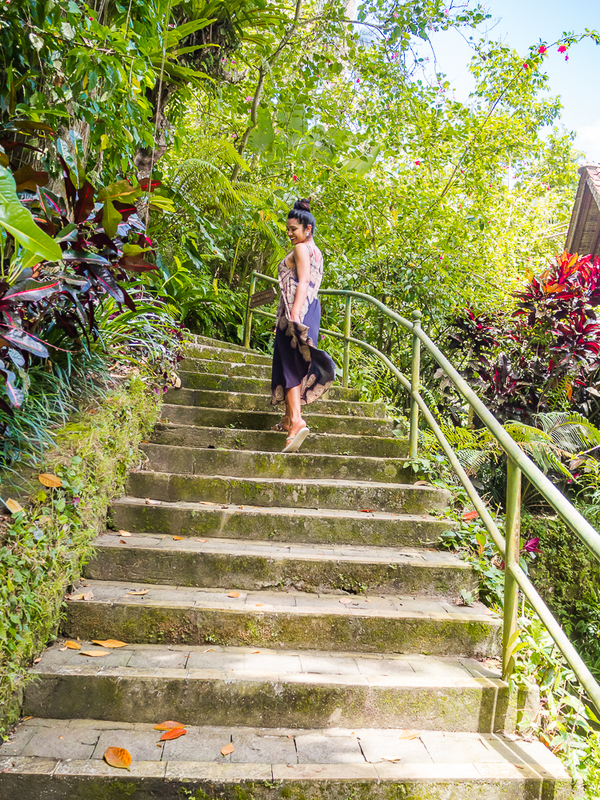 You could simply hike down to enjoy the beauty, or be more adventurous and head off river rafting, the day is still young and the tropical forest is calling. Unfortunately, we didn’t have time for either, but next time for sure. 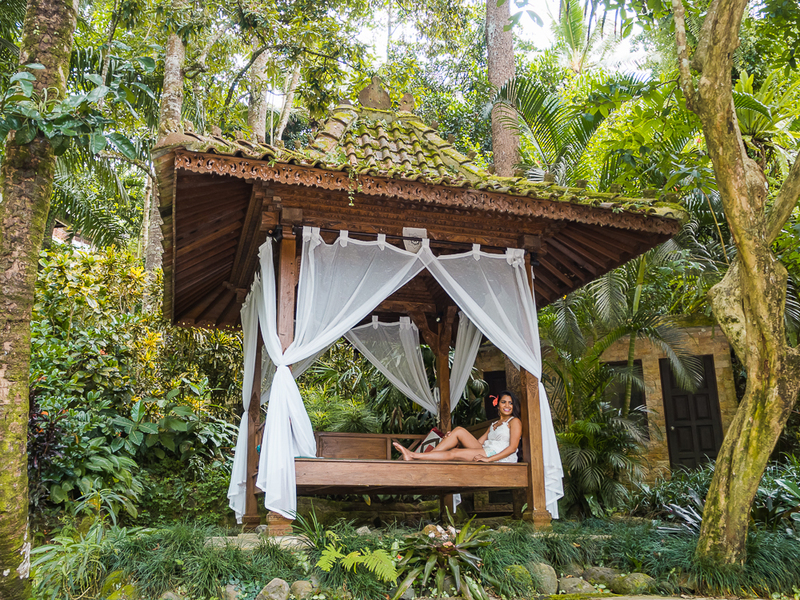 With so many unique offerings in the Ayung Resort & Spa, you don’t ever have to step outside if you don’t want to. 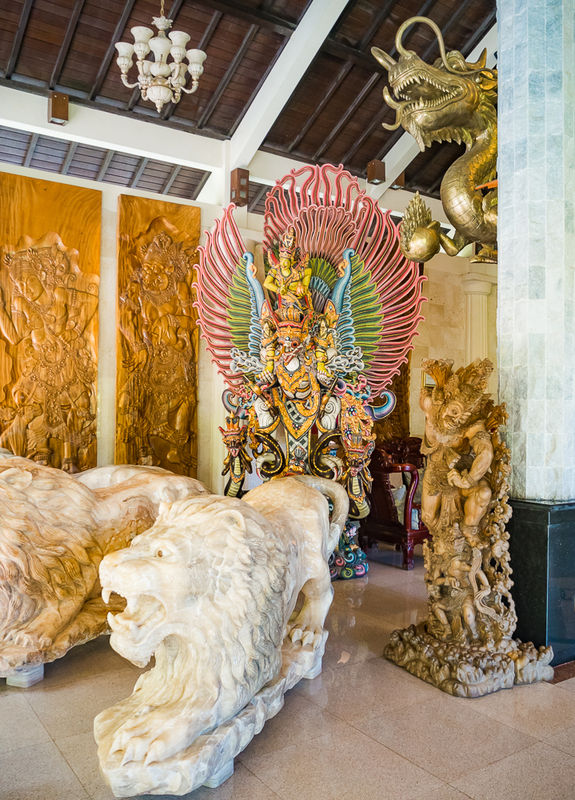 One could simply enjoy Bali’s best from the comfort of their humble abode for the next few days, which is exactly what some of the guests we interacted with at the resort in fact did. 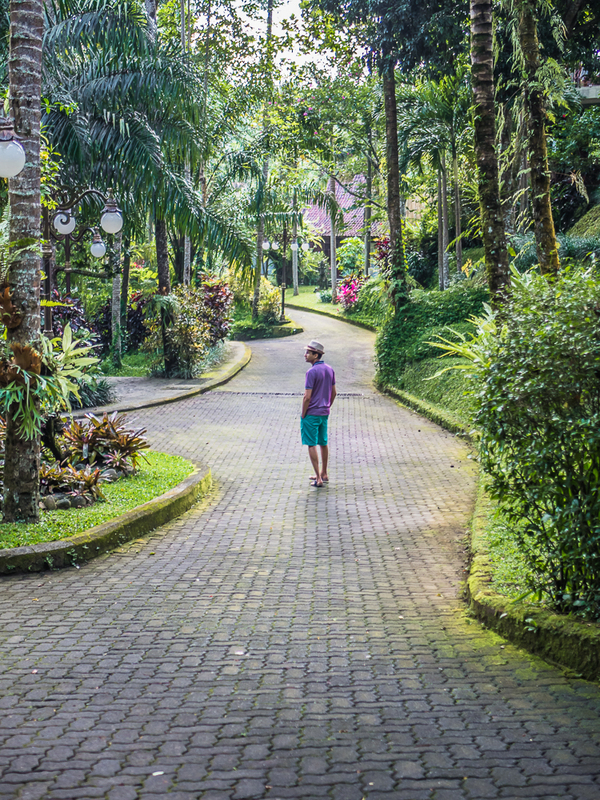 But for those who would like to venture out, the resort also offers a complimentary shuttle service a few times a day to/from Ubud town. 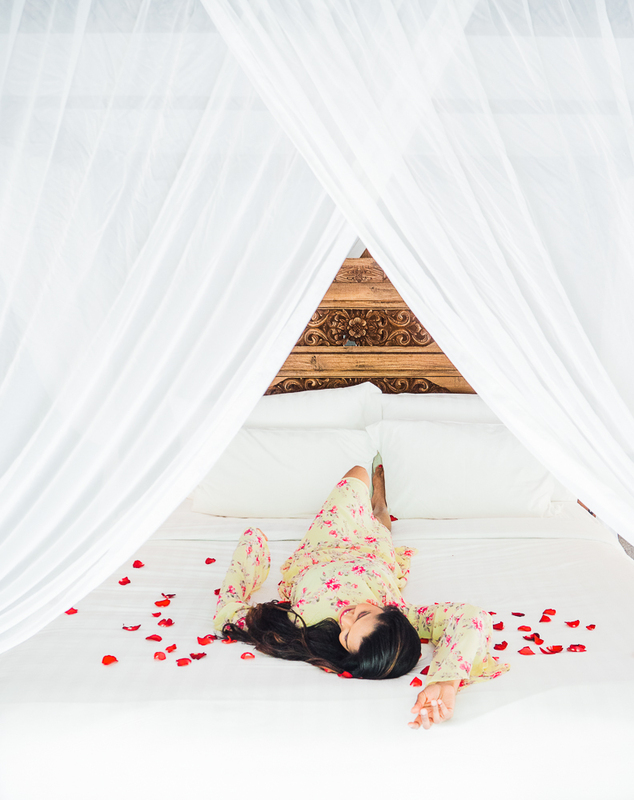 I do have to exclusively talk about Ayung Resort & Spa’s most attentive and friendly staff. They were all extremely welcoming, always spoke with a smile, and paid utmost attention to our needs and asks. Everyone even made it a point to remember each guest’s names and addressed them by it. 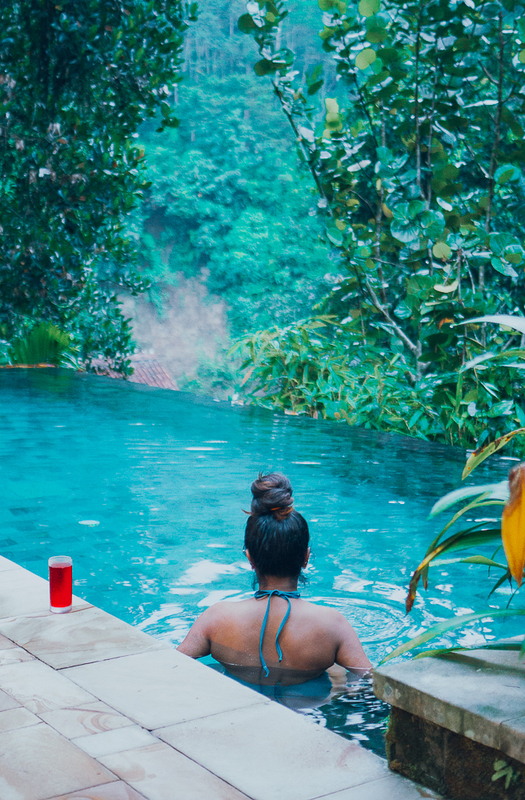 I have to say, it was one of the best customer service experiences, which to me is an extremely important factor when it comes to how I view a place, 5-star or not, and Ayung Resort & Spa definitely scored all the stars (and more) from me on that. Stay tuned to hear more about our recent 5-week, 4-country vacation coming to the blog soon... until then, have fun in the sun!